I am a licensed Marriage and Family Therapist (MFC 30126) who practices individual, couples, and family psychotherapy. My specialty is working with adults at various stages in their relationships, who are looking for ways to create and sustain healthier relationships, including post separation, and with those in the midst of divorce who wish to avoid prolonged Court litigation. I have a special interest in helping parents to dissolve their relationships with dignity and with a focus on moving forward toward building a sustained, mutually respectful relationship with each other as they continue to co-parent their children. For parents who are unable to work together successfully, I offer the alternative of Parenting Coordination and child custody evaluations with recommendations to the Court in the children's best interest. 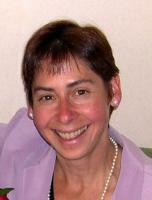 I have been licensed in the State of California as a Marriage and Family Therapist since 1992.